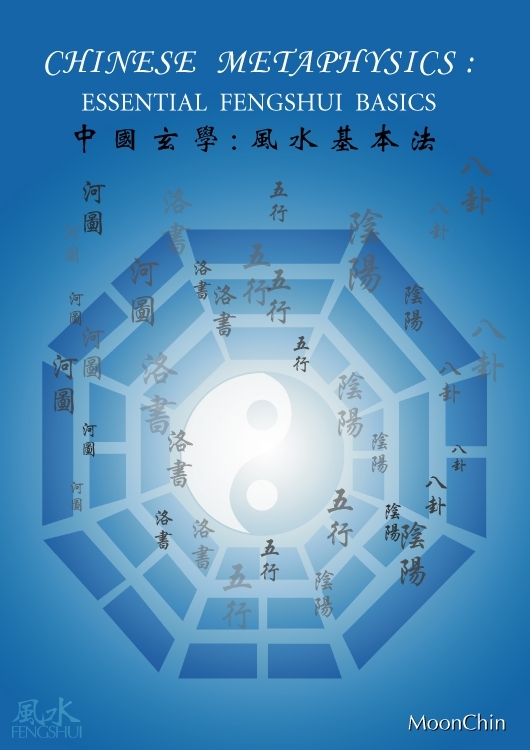 Chinese Metaphysics: Essential FengShui Basics, is a book designed with the English Speaking students of Chinese Metaphysics, especially FengShui, in mind. But even students of BaZi and Date selection will find this book informative and could even hang on to it as a manual! The contents of this book look ordinary from the outside because these are the normal basic subjects that a FengShui student needs to study before going on to study the main body of FengShui formulas and methods (and also other Chinese Metaphysic subjects). But the information contained within these subjects in this book is what sets it apart from the generic basic FengShui books. There are no special FengShui formulas offered in this book. But what is offered is a vast body of knowledge that will help the new (and even some experienced students) of FengShui to gain the necessary foundation to be able to study ANY FORM of FengShui (or other Chinese Metaphysic subjects) with ease. I had noticed from my participation in FengShui forums, that many English speaking students of FengShui do not have a good foundation in these subjects. It is mainly because whatever FengShui basics being offered in contemporary English FengShui books do not emphasis on these fundamentals. Instead, most FengShui book authors would only pay cursory attention to these fundamentals. They would jump straight into offering FengShui formulas and theories thinking that the students would be able to understand. But that’s not the case. How many times have YOU (as a reader and student) read FengShui books and come out more confused? How many times have you read these books and wondered what are the Metaphysic theories that back up these FengShui formulas or methods? Have you ever wondered that one needs to have a good foundation in the basics before one can comprehend and be proficient in FengShui theories and methods? If you have wondered before, you don’t need to wonder now! I have just the right answer for you -- Chinese Metaphysics: Essential FengShui Basics. There is invaluable Metaphysic information in this book that is not commonly available in English. Every chapter is packed with powerful information to will help the student to become proficient in ANY FORM of FengShui because these are really the foundation knowledge of all FengShui methods. I guarantee that YOU will not regret buying this book. In future, readers may be thankful that such invaluable information is now made available to the English speaking FengShui enthusiast. If you are a serious student of FengShui, you should not miss this opportunity to improve yourself. Buy this book now and give yourself a chance to be a good FengShui practitioner! Publication is due at the end of April 2008. Pre-publication order is now opened! 5. Chapter 3: The Chinese calendar system. 9. Chapter 7: Concept and Theory of Qi. 13. Chapter 11: Different schools of FengShui. Chapter 1 is all about the meaning of FengShui. How the word FengShui came about and what is its actual meaning. What are the different aspects of FengShui. And whether FengShui is superstition or not. Chapter 2 is on the History of FengShui. This chapter is packed with vital information not only on the ancient development of it, but also more recent developments. There are short biographies of famous FengShui personalities from Yang Jun Song to Jiang Da Hong, Shen Ju Ren and Tan Yang Wu. Chapter 3 is the Chinese Calendar system. This chapter traces the development of the Chinese Calendar system and its indispensable connection with FengShui and other Metaphysic studies. Chapter 4 is one of the most crucial of chapters – Stems and Branches. In this chapter I have put in extremely vital information on Stems and Branches that are not commonly available in English. There is detailed information on the history and development of Stems and Branches; specific meanings and characteristics of each Stem and Branch; its combinations and clashes; etc…..
Chapter 5 is on the 5 Elements – concepts and theories. The history and development of 5 elements; its relationship with other phenomena; individual meanings and characteristics; generation and control; birth and death cycles; balances and imbalances; and 13 different types of 5 Element theories -- example Hong Fan 5 elements, NaJia 5 elements, BaGua 5 elements, etc. Chapter 6 is all about the Yin and the Yang of all phenomena. It traces the history and development of Yin Yang philosophy and its expansion from the TaiJi and integration into the BaGua, 5 elements and others. Chapter 7 deals with the Concept and Theory of Qi. This is one subject that is most interesting. To the student of FengShui and the professional practitioner, this subject is closest to heart. A FengShui practitioner cannot be proficient if he/she does not have a good grasp of what Qi is all about. This chapter touches on both the philosophy and Metaphysics of Qi. It describes the origin of Qi, Primordial Qi, and Qi as defined in FengShui. Chapter 8 is the longest chapter of this book – about 40 pages and close to 10,000 words of jam packed information purely on the subject of HeTu and LoShu. The information ranges from the historical development to the different relationships with other phenomena and its indispensable integration into Chinese Metaphysics. How the HeTu is related to the Heavenly Stems and the BaGua; how the LoShu is developed from the HeTu; etc…. Chapter 9 explores the relationship between the YiJing, TaiJi and the BaGua. There is detailed explanation on the TaiJi’s development into the BaGua. There is also detailed explanation on the relationship of the TaiJi with the YiJing. Chapter 10 is most interesting to the FengShui enthusiast who had never attended practical courses before. It is a chapter dedicated to the explanation of the LuoPan and on the practical usage of it. Chapter 11 is the last chapter of this book. But this chapter is most crucial for the new students who are undecided about which type of FengShui he/she wants to study. This chapter is all about the different schools of FengShui. It has ample information about contemporary FengShui schools. There is unbiased writing on my part to give the students a fair view of all the different contemporary FengShui schools so that they can decide which school they like to learn from; or what combination of FengShui schools (methods) that they want to learn. I promise that this chapter will be most eye-opening to the new student of FengShui.